About the Children's Department: Let's Celebrate Advent . . . Love . . . Jesus was Born in Bethlehem! 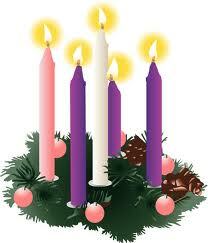 Let's Celebrate Advent . . . Love . . . Jesus was Born in Bethlehem! As we continue to celebrate Advent, let's take a moment to think about the second Advent candle and what it reminds us of . . . Love! Stop and think for a moment, if leaving Heaven to be born as a baby in a family so poor the only place for your birth was a stable doesn't show incredible love, then I don't know what would show such a love. The love we talk about at Advent isn't a "mushy", emotional feeling of love, but rather it is a strong, true love which shows itself in giving to others. So, as we focus on Love this Advent, be sure to take time to think about how you can show a strong, true love which shows itself in giving to others this year. What can you do to show this love to your volunteers, the parents and children in your ministry? Consider the following . . . I believe one of the best ways you can show love to your volunteers is to pay attention. Do not allow yourself to be so busy you don't notice what is happening with your volunteers. Make time to ask them about their greatest joy and their greatest challenge as they enter the Christmas season - and don't settle for "pat" answers. As they share their greatest joy and challenge, listen and then stop and pray with and for them. If they share a need, find a way to provide help, resources and encouragement. Just as paying attention to your volunteers is one of the best ways to show love, it is also one of the best ways to show love to the parents and children in your ministry. In addition, plan for an evening of child care so the parents in your ministry can drop their children off while they go and finish their shopping. Be sure to have a plan for families where money is limited . . . provide child care and then take parents to another location where they can "shop" amongst donated toys, books, clothes and other items so their children are also able to find something under their tree on Christmas as well! Show love to your volunteers, parents and children by helping them focus on showing their love to others. Plan a time where everyone gets together to make cookies, cards, small gifts to then take to your local firefighters, police, nursing home residents or shut-ins. Serving others and showing love to them brings a deeper appreciation for how Jesus served us and showed His love to us! These are just a few ideas of how you can celebrate Advent and focus on the meaning of the second candle . . . Love!